PatientPrint is a proposed Internet of things product that would track nursing home patients' location and vitals. This product would ultimately cut costs for the industry and would benefit both the nursing homes, the patients, and the patients' family members. 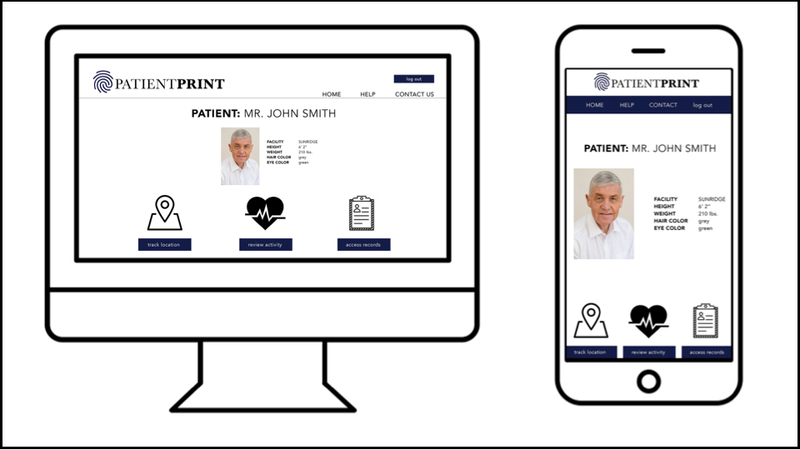 These are examples of the PatientPrint desktop and mobile application designs. 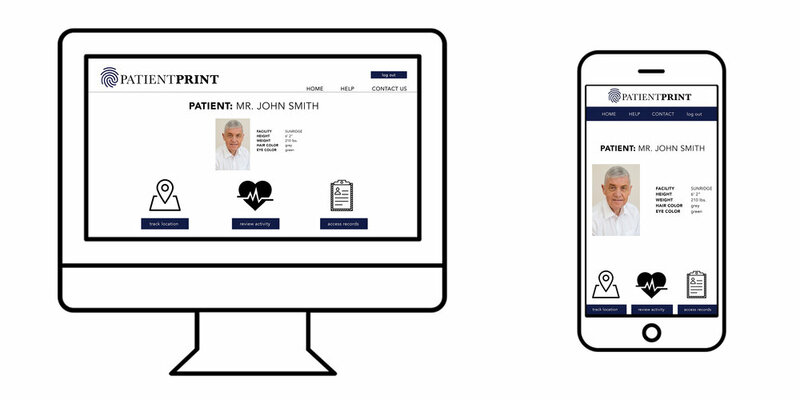 The main priority was to create a design that is user-friendly, so whether you’re an employee, family member, or patient, it’s easy to learn how to use the product. It features the patient, their personal details, and allows location tracking, recent activity monitoring, and access to medical records. The business student group identified a considerable market gap. *Last year, there were a couple dozen Silver Alerts in Austin, which is when an elderly individual goes missing. Two of the missing individuals died due to heat exhaustion and not knowing where they were. Their solution was a wireless, wearable device that monitors patient location, heart rate, and activity, accessible to patients, their caregivers, and their families by connecting to a web app. Lindsey created the logo, product graphic, and the presentation design.